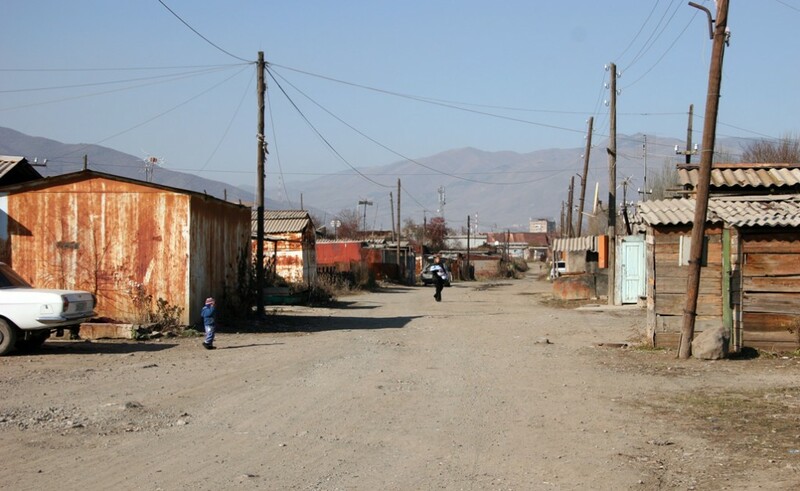 I-SITE teamed up with Josette Bonafino of MYX: Multicultural Youth Exchange to create the Armenian Housing Crisis iPad App in order to raise awareness of the chronic poverty housing in Armenia and to offer support to some of the country’s most vulnerable families. 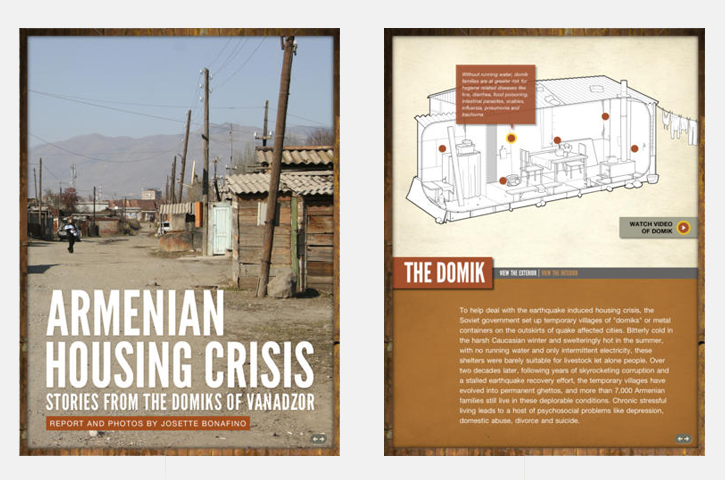 This storytelling app features an historic timeline of Armenia, an overview of the country’s current economic situation, video interviews with domik families and interactive infographics. The team also created a responsive website to promote the App and a Web page to accept donations for a project that provides free showers to the domik residents. To date the program has raised over $3,000 with 100% of the funds going directly to the community. MYX recently traveled back to Armenia to continue work on the project and I-SITE will continue to update the App based on new content. 2013 Interactive Media Awards. Outstanding Achievement in Charity Category.